Tim Haberberger of Alpine has been honored as the 2018 International Groomer of the Year by the International Snowmobile Hall of Fame. He is the first Wyoming snowmobile trail groomer to receive this prestigious award which was presented during Hall of Fame induction ceremonies in Eagle River, Wisc. Haberberger and his family operate the Box-Y Lodge located 30 miles up the Grey’s River Road from Alpine – a remote location accessible only by snowmobile or snowcat during winter. He has been the State of Wyoming’s snowmobile trail grooming contractor in the Grey’s River and Blind Bull areas of the Wyoming Range for the past 20 years and owns and operates three Tucker Sno-Cats based out of the Box-Y and Alpine. He personally grooms more than 2,800 miles per year – which equates to 500 to 600 hours in a Sno-Cat doing snowmobile trail set-up, dozing, and grooming in conditions that range from wind-swept flats to steep mountainous grades in very challenging terrain. 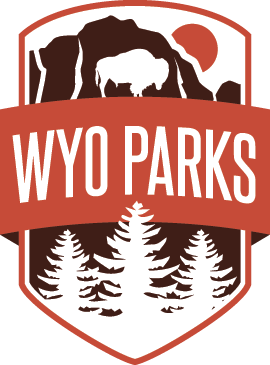 Besides being the trail groomer, Haberberger has also been very active in the development and operation of the Wyoming Range snowmobile trail system. Haberberger has faced many challenges while grooming over the past 20 years – including being caught in an avalanche with the groomer, as well as having to deal with major landslides that disrupted snowmobile trail routes in the Blind Bull and Grey’s River areas the past two winters. Without exception, he has always risen to the challenge and done his best to keep snowmobile trail access open.